As a busy mom, I’m all about multitasking. So if I can find (or DIY) an accessory that can be worn several different ways, then I’m all over it. Which is why I’m calling this necklace the bold title of ‘most versatile necklace ever!’ I love that it can be worn as a short necklace or as a pendant. Or even wrapped on your arm as a bracelet. 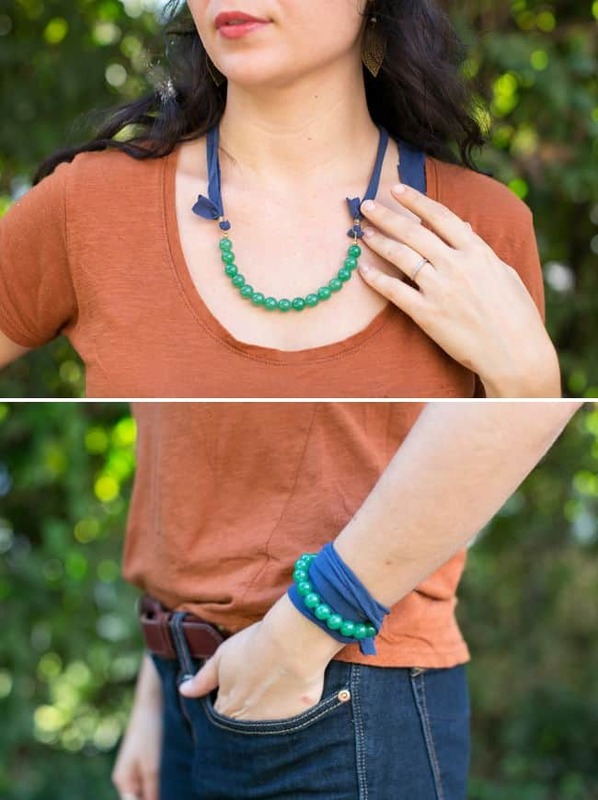 Plus, you can make it in colors that complement your wardrobe – green and blue were my choices, since they’re my favorites. 1. 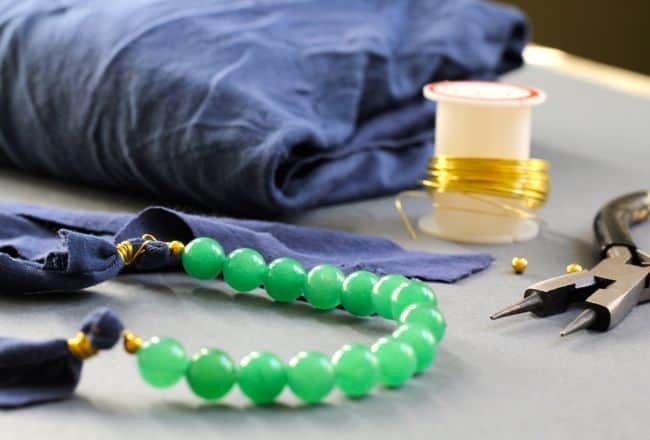 String the green beads onto the wire. 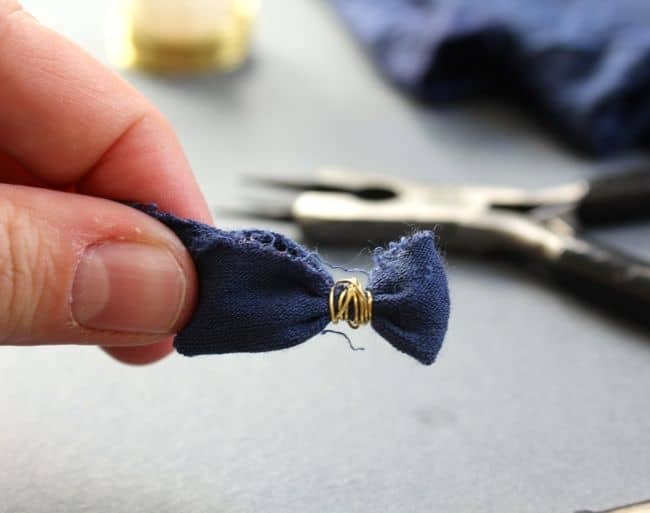 Finish with a gold bead and bend the end of the wire into a small loop with the pliers. But don’t close the loop all the way! 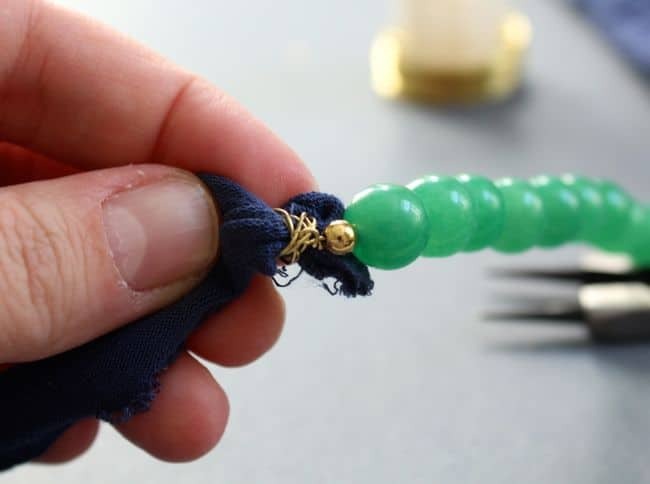 Just close it enough so that the beads don’t fall off. 2. Clip the other end of the wire, leaving a bit of excess length. 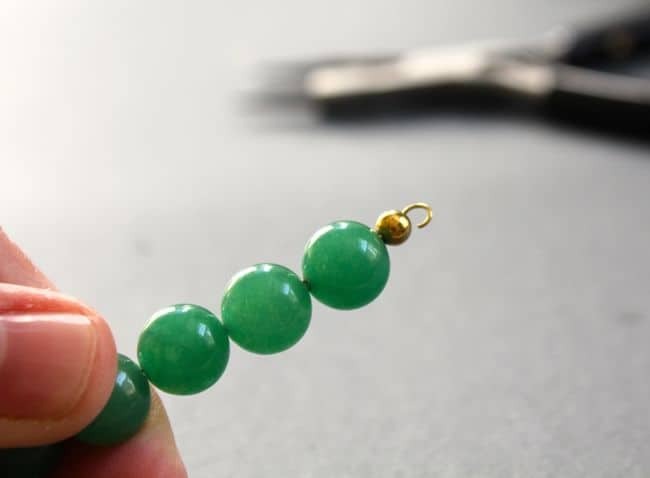 Add the other gold bead to that end and curl the wire into a loop. 3. 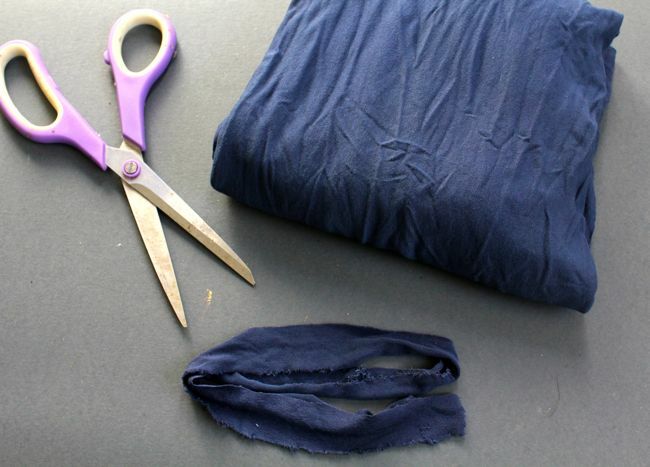 Cut two long strips of the T-shirt, each about 1-inch wide and 2-feet long. 4. 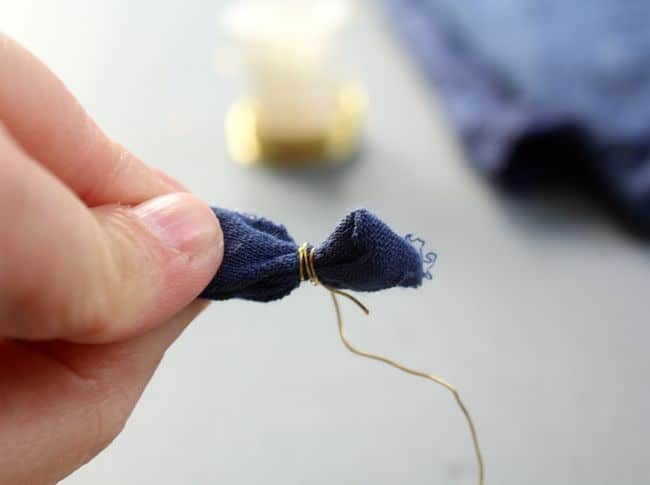 Fold back a 1-inch piece of fabric on the end of each shirt strip and and start wrapping with a length of wire. 5. Wrap several times and clip the excess wire. 6. 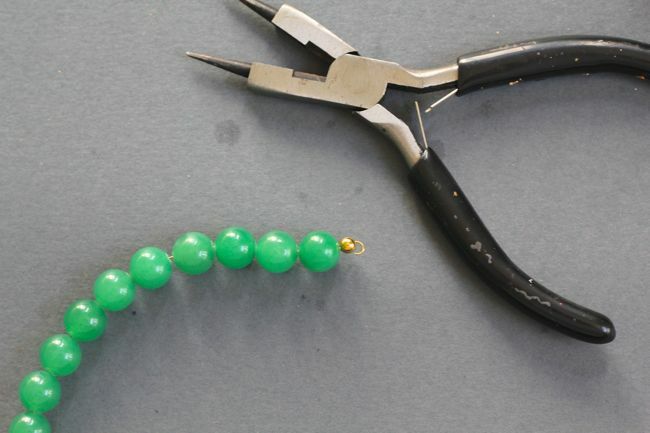 Using jewelry pliers, attach the hook at each end of the bead wire to the wrapped wire and close the loop. 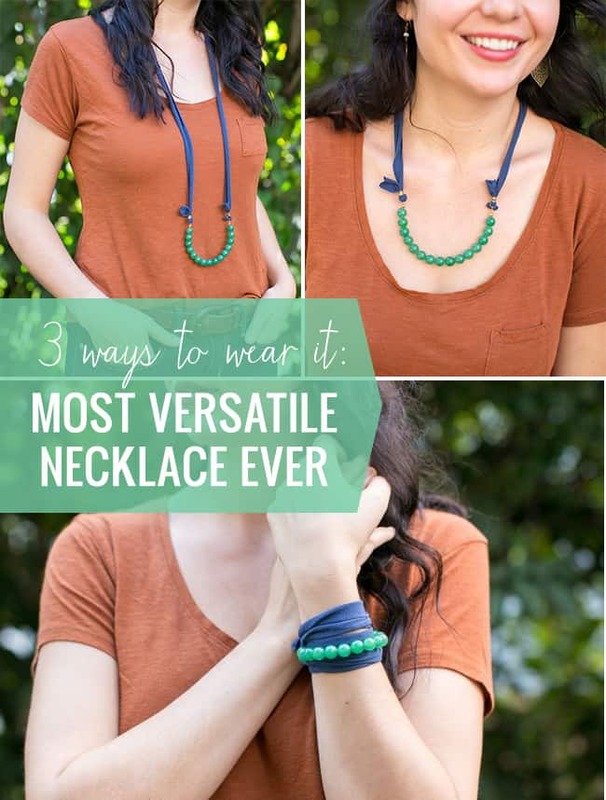 Can you think of any other ways to wear this necklace? I think this looks very cute and I love making jewelry of any kind. Its my one and only hobby, and I can’t wait to try this. I think I will just use ribbon instead of a t-shirt though. what if you used paper beads insted of glass beads? I think that would look awesome. I love this and the idea of it being multi-use. There are so many possibilities for color and style. But I am a little confused as to how to adjust it to the longer length? I love how we can use it as necklace and bracelet. Both look stunning! I love it! A Christmas version would be perfect for the holiday season. Adorable! And I love this color combo.